FULL LAND ROVER SERVICE HISTORY - MAINTAINED IMPECCABLY REGARDLESS OF COST - ALPINE SPEAKER SYSTEM - CRUISE CONTROL - CLIMATE CONTROL - BLUETOOTH - REAR PARKING AID - ELECTRIC MIRRORS - SUPER LOW MILEAGE 4X4! 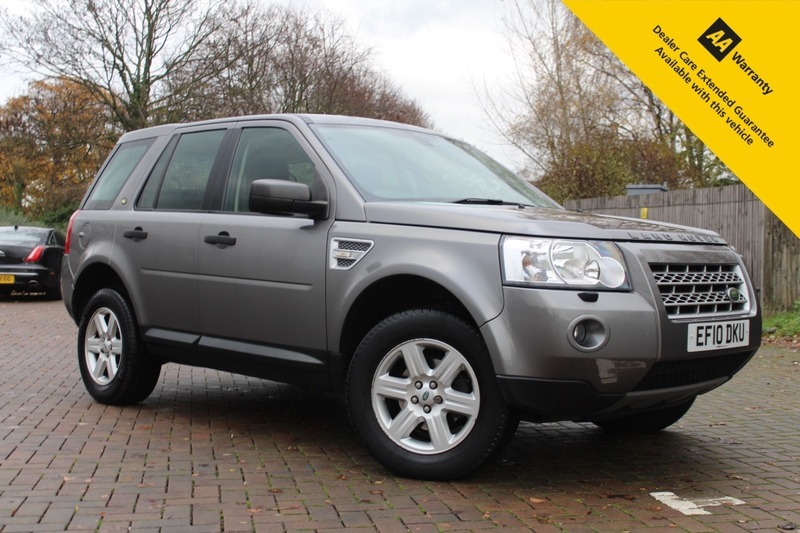 Here for sale at Leigh Cars Ltd we have a super 2 OWNER example of the popular Land Rover Freelander 4x4 GS TD4 AUTO finished in metallic grey. This particular example comes with a SUPERB FULL LAND ROVER SERVICE HISTORY - X8 LR STAMPS, LAST SERVICED @ LR LOOKERS CHELMSFORD ONLY 2,500 MILES AGO. The GS specification level comes with some great specification including APLINE SOUND SYSTEM, AUTO LIGHTS & WIPERS, AIR CONDITIONING, CLIMATE CONTROL, BLUETOOTH, STOP START BUTTON IGNITION CONTROL, REAR PARKING AID, CRUISE CONTROL, FRONT & REAR ELECTRIC WINDOWS, ALLOYS, 2 REMOTE CENTRAL LOCKING KEYS + much much more. If you are looking for a ROBUST, RELIABLE, VERSATILE & SPACIOUS 4X4 that has a superb ride height and is a pleasure to drive.... then this is definitely the car for you. This particular example has been maintained regardless of cost and is in impressive condition inside and out - a real testament to the previous owner who have maintained the vehicle faultlessly since coming off the production line. YOU WILL NOT FIND ANOTHER ONE ON THE MARKET TODAY LIKE THIS ONE!